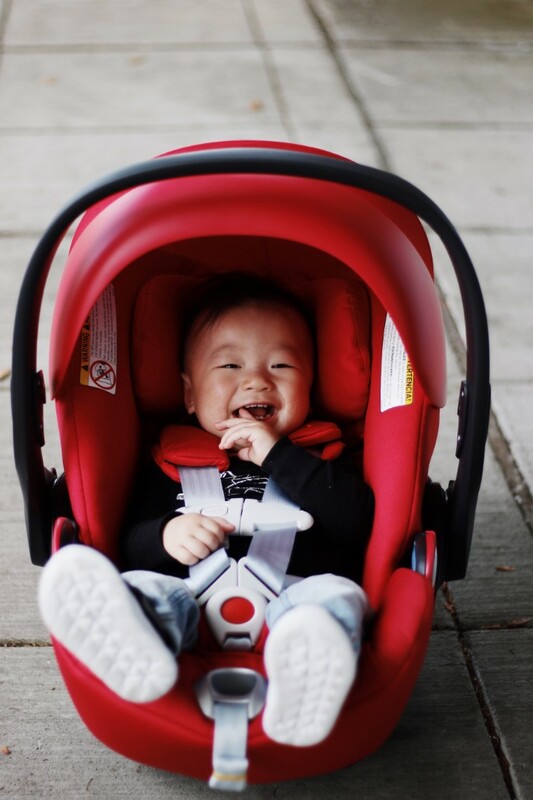 HOT & SPICY, that's the name of the color of Preston's new Cybex Cloud Q car seat, aka the baby Ferrari. The very first time I put him in it, he sank in between the plush red cushion and practically laid as still as a board because it was so luxurious and comfortable. 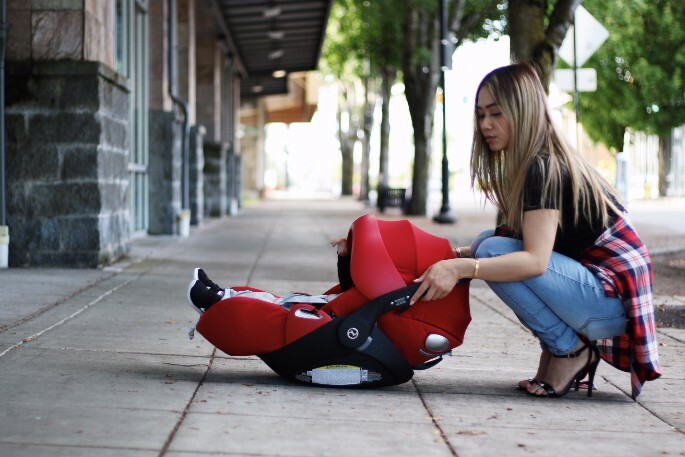 Since becoming a mom, I've seen my fair share of baby gear and have done the research that would place me in the obsessive first-time moms category. 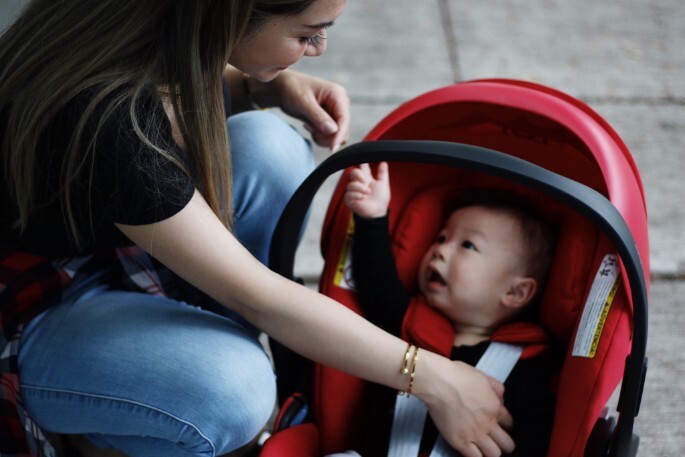 I remember looking for a newborn car seat that checked off my list of safety standards, versatility, and of course, how cool it looked (I haven't traded in for Mom jeans just yet). I always passed by the futuristic looking car seat while strolling the aisles and admired the beauty of such a sleek design! 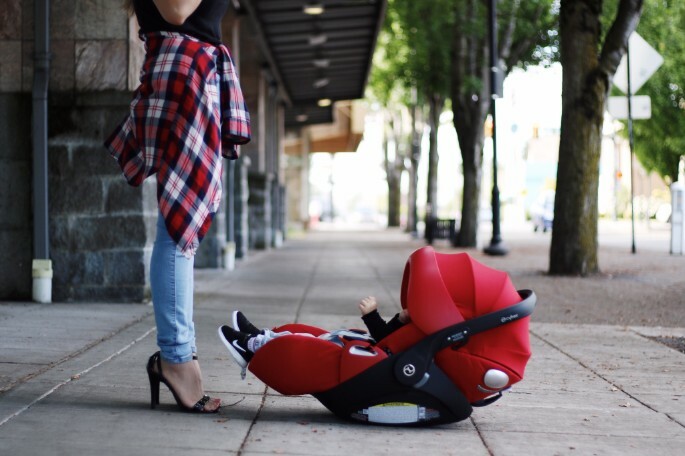 The Cybex Cloud Q has an impressive list of safety standards that make it an award-winning car seat for the littles! 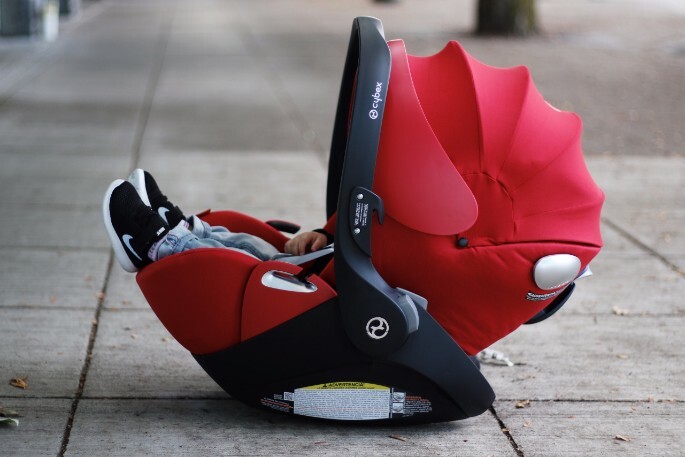 Features such as the Telescopic Linear Side-Impact Protection, adjustable headrest, in-car automatic height adjustment for premature or really small babies, and the ability to fully recline gives me the peace of mind any mom would appreciate! PS... Have you ever heard of a reclining car seat? That's some serious luxe for baby! I love the awesome canopy on the car seat, it's super big, has the most fab design, and gives Preston lots of shade on sunny days. 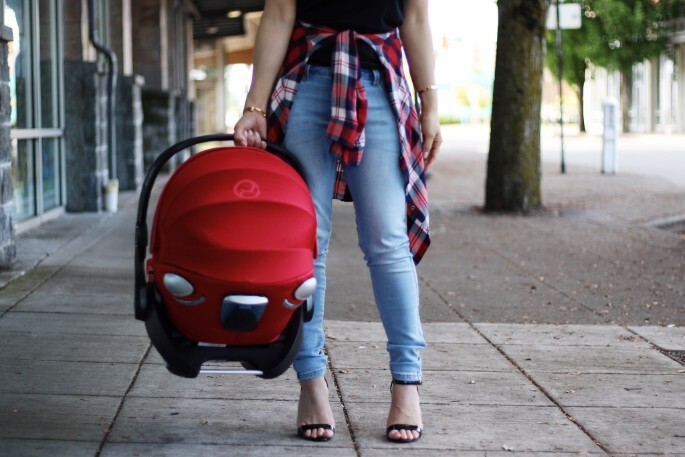 It can also be used as a travel system and easily latches on to various strollers, which is an excellent feature for on the go moms like me! Anything that makes #MOMLIFE easier, I'm in!